(Fig. 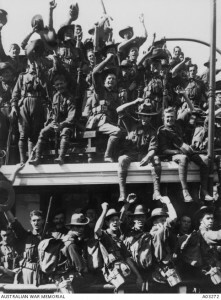 1) Embarkation of the AN&MEF for New Guinea, Sydney, 19 August 1914. AWM ID A03272. The Australian Naval and Military Expeditionary Force (AN&MEF) was a military unit hastily raised to specifically deal with the German colonies in the Pacific. The main task for the AN&MEF was to seize or destroy German wireless stations which formed the backbone of an intelligence network that supported the German East Asia Squadron based at Tsingtao, China. The German colonies ran from the Caroline and Marshall Islands in the north to New Britain and German New Guinea (modern-day Papua New Guinea) in the south. 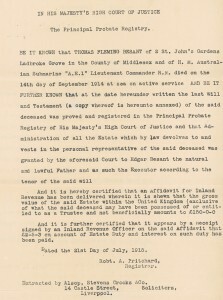 It was the task of New Zealand troops to occupy German Samoa in the east. 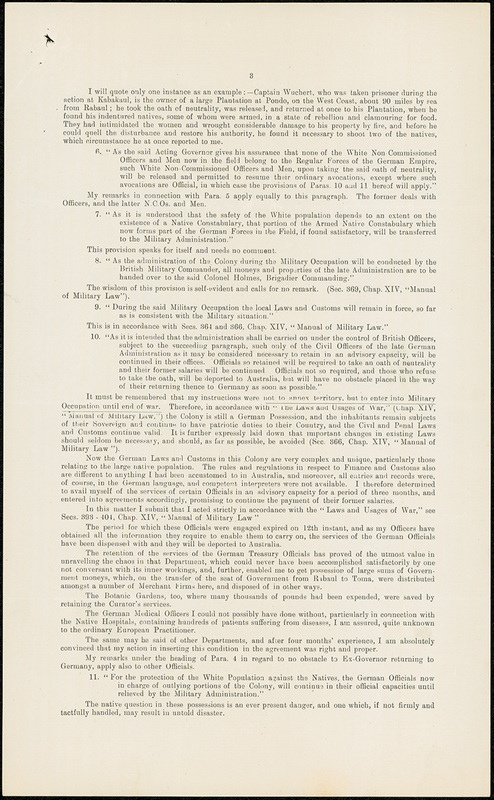 The AN&MEF was a smaller expeditionary force raised between 10 August and 18 August 1914. 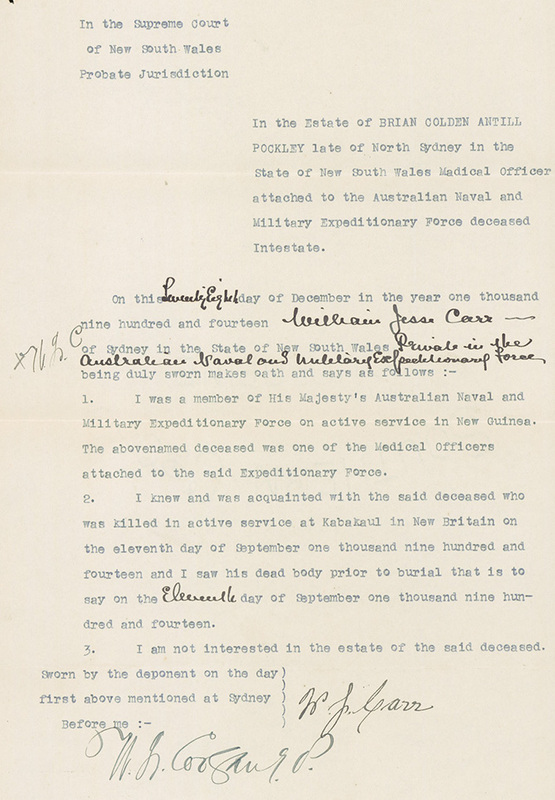 In the space of ten days the AN&MEF was recruited, trained, equipped and then embarked from Sydney on 19 August 1914.(Fig. 1) It was made up of one battalion of infantry (1000 men) who enlisted in Sydney, along with 500 naval reservists and another 500 men from the Queensland-based Kennedy Regiment. 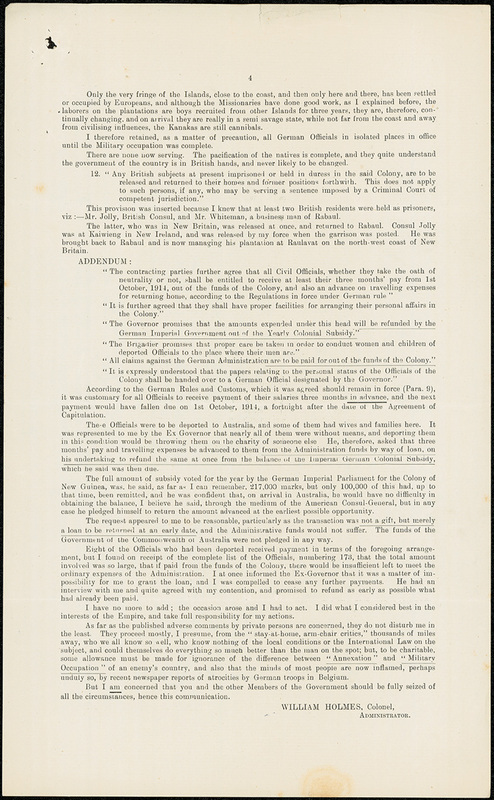 The Force was under the control of Colonel William Holmes, who in civilian life had been the Secretary of the Metropolitan Board of Water Supply and Sewerage in Sydney. 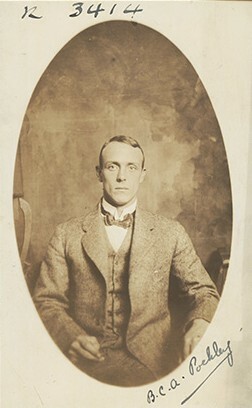 Holmes had a strong administrative background and a long history of military service, having already served in the Boer War with the NSW Infantry Contingent. The AN&MEF left Sydney on board the HMAS Berrima for Port Moresby, where they joined up with the Queensland contingent. 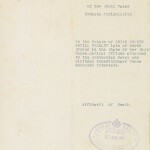 On 7 September the force sailed for German New Guinea and four days later, on 11 September, a small force landed at Kabakaul Bay to capture the wireless station at Bita Paka. A 25-man force had a skirmish with German reservists and Melanesian Native Police before reinforcements landed and the wireless station was captured. The Battle of Bita Paka was the first battle that Australian troops were a part of in World War I. 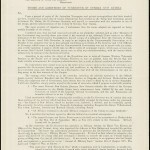 The following day Herbertshohe and Rabaul were secured and on 21 September the remaining German soldiers surrendered. Over the next two months the AN&MEF mopped up the last German outposts on the Bismark Archipelago. 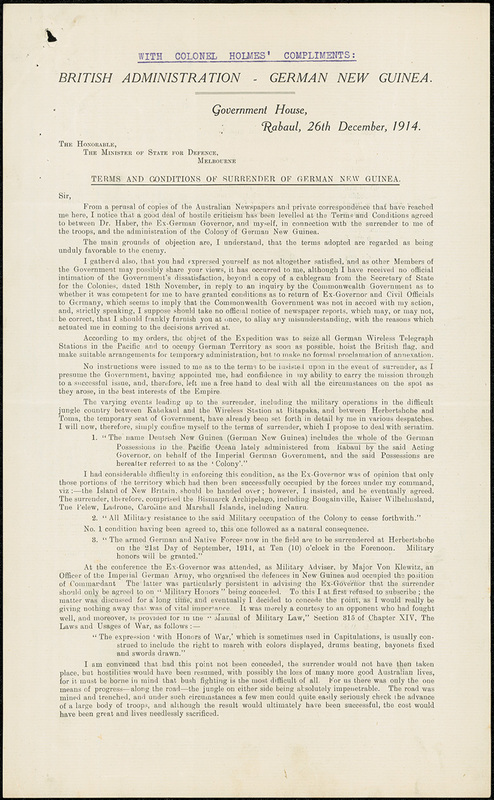 Holmes’ instructions for the occupation of the German territories were very specific. 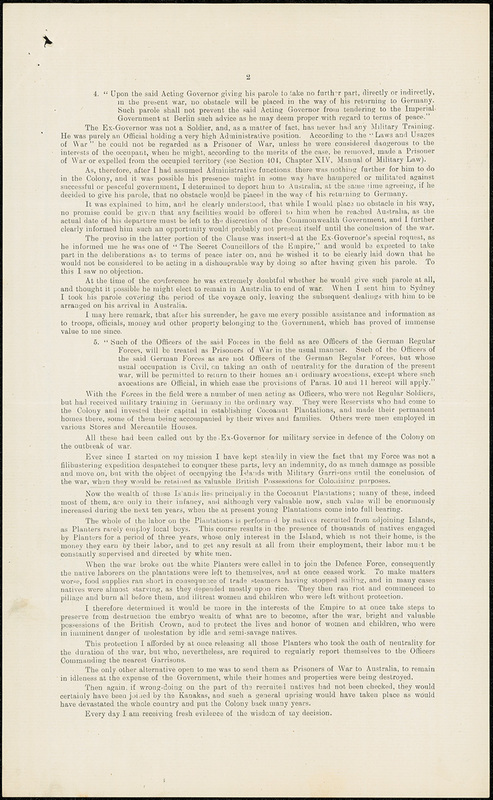 He was told to “make suitable arrangements for temporary administration, but to make no formal proclamation of annexation” of the German colonies. For the remainder of the war the AN&MEF was therefore an occupation force in German New Guinea. 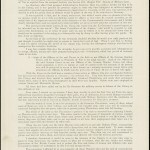 Colonel Holmes prepared a report on the Terms and Conditions of Surrender of German New Guinea (Fig. 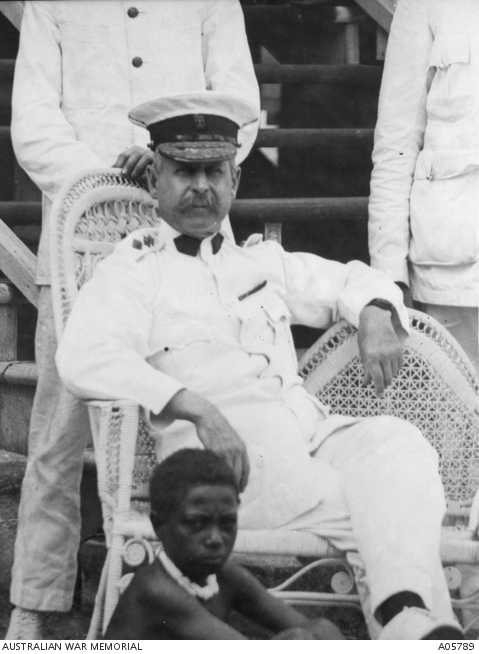 2-5), where he outlined the problems he faced in German New Guinea in relation to food shortages, treatment of German citizens, problems with the local workforce and criticism of his administration from Australia. 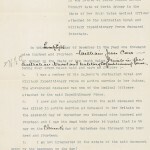 Holmes remained as Administrator until January 1915 when he returned to Australia to take up an appointment with the AIF. Captain Brian Pockley was a doctor in the Australian Army Medical Corps (AAMC) and a member of the AN&MEF. 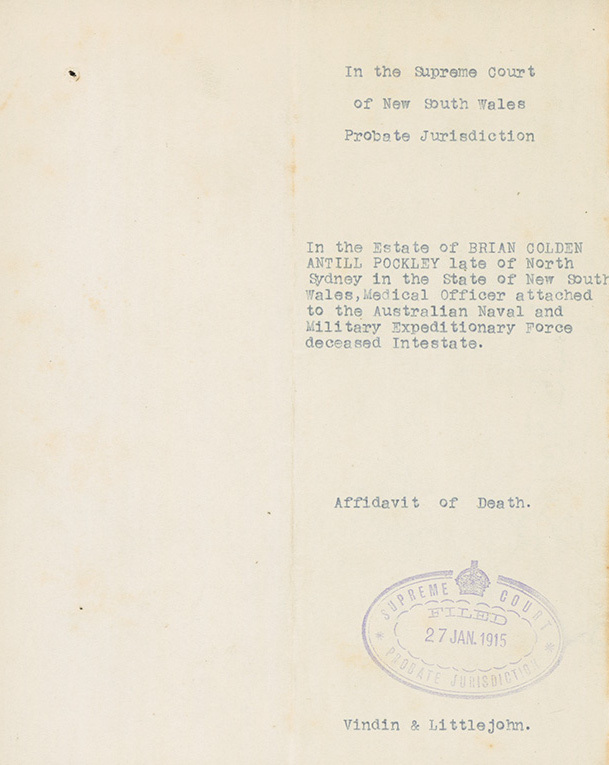 He was killed in action in the Battle of Bita Paka on German New Guinea and became the first New South Welshman and the first Australian officer to die in World War I. During the battle, Able Seaman William Williams was shot in the stomach and Pockley gave his red cross armband to another naval seaman who helped to carry Williams to the rear of the battle. 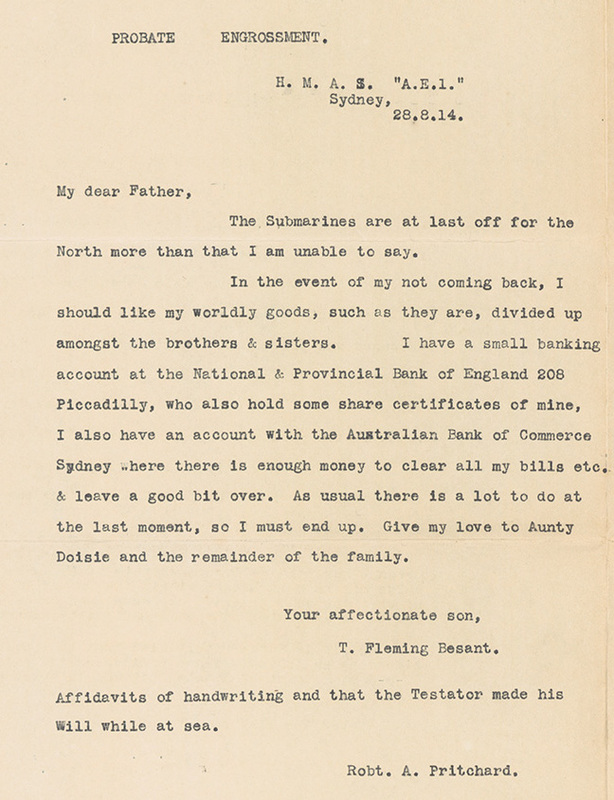 Pockley was shot soon afterwards as he went about his duties and died on board the HMAS Berrima. By the end of the Battle of Bita Paka six Australians were killed and another four were wounded. Both Williams and Pockley were buried at Rabaul Cemetery. 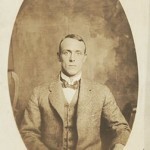 State Archives NSW has in its collection Dr Pockley’s photograph from when he registered as a medical practitioner (Fig. 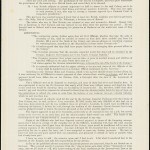 7) and his probate packet (NRS 13660 Series 4-67576, see Fig. 8-9). 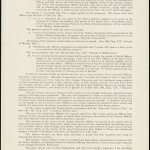 The Australian War Memorial holds a number of photographic items related to Brian Pockley which can be viewed on their website. The Royal Australian Navy’s first submarine, the HMAS AE1, arrived in Sydney in May 1913 to begin its service with the fledgling RAN. 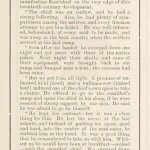 It was under the command of Lt-Commander Thomas Besant, from the Royal Navy and had on board a joint Australian-British crew of sailors. When war broke out the AE1 accompanied the AN&MEF to capture German New Guinea. 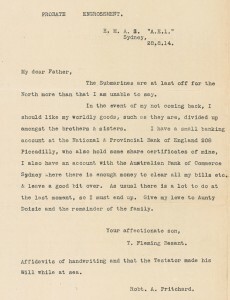 On 14 September 1914, the submarine departed Rabaul to patrol for the German cruiser squadron off the coast of New Britain and was last sighted by HMAS Parramatta at 3.30pm. The submarine was lost at sea with all hands (35 sailors) and it is presumed it was wrecked on a reef or other submerged object. 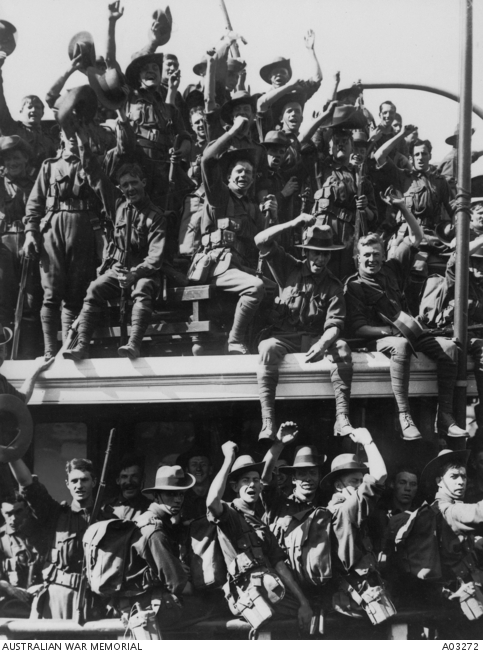 It was Australia’s first major loss of World War I. 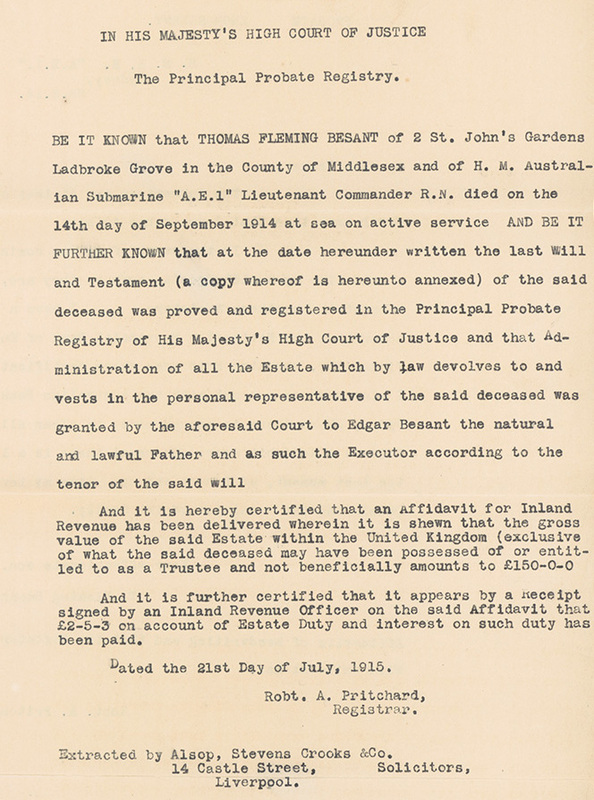 The probate packet of Lt-Commander Besant contains a poignant letter and last will, written to his father en route to Rabaul. 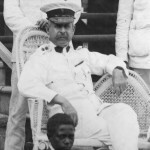 Perryman, John, 2004, “90 Years on: Rabaul and Sydney/Emden 1914”, viewed on Navyhistory.org.au on 15 April 2014. Wikipedia, Australian Naval and Military Expeditionary Force, viewed on 15 April 2014. Travers, BH, “William Holmes” in Australian Dictionary of Biography, viewed on 16 June 2014. Wikipedia, Australian Naval and Military Expeditionary Force, viewed on 15 April 2014. Travers, BH, “William Holmes” in Australian Dictionary of Biography, viewed on 16 June 2014. Ibid. Australian War Memorial, Captain Brian Antill Colden Pockley, viewed on 15 April 2014.